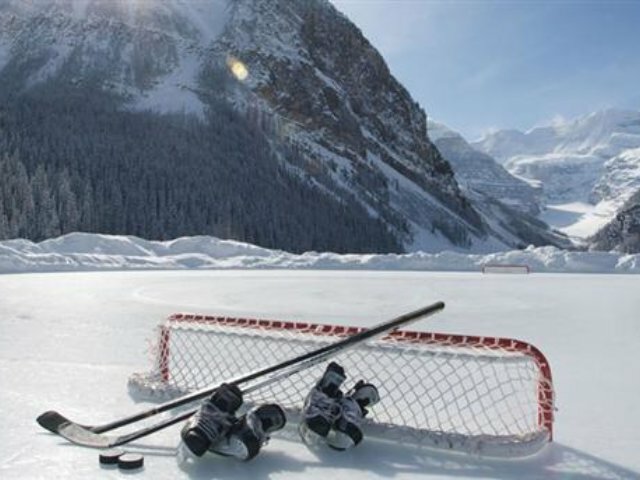 Details for the 2019 Lake Louise Pond Hockey Classic are being put together. Below are all of the details from the 2018 tournament for reference - the 2019 tournament will be similar. Celebrate Canada's game with 2 days of action packed hockey on the frozen surface of Lake Louise. Watch as teams face-off for a game of shinny in the great outdoors with a stunning mountain backdrop. There are two events, February 22-24 charity mid-week tournament will be raising funds for Rotary / Flames House through the Calgary Flames Foundation. The weekend tournament is happening March 1-3, 2019 (TENTATIVE). Each tournament includes 4 games of hockey, plus playoffs.